There’s something terribly wrong with this statistic: 80% of women are unhappy with their body. I believe female body dissatisfaction is at epidemic levels, and it’s a top driver of food addiction and its sidekicks: eating disorders, diabetes, metabolic syndrome, chronic stress, hormone misfires, accelerated aging, and obesity. 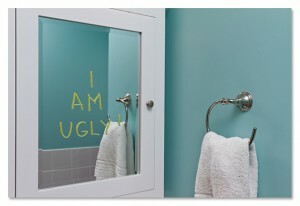 Body image is how you perceive yourself, and how you assume others perceive you. On the surface, it’s all of those thoughts about your height, weight, shape, and movement. On a deeper level, it’s about how you feel in your body. Are you like an alien who longs for another vessel, or a woman who is fully embodied and at home with her unique biology? The problem is that so many of us have “I hate my body” moments. I hate my arms. I hate my belly. I hate my thighs. Body dissatisfaction never ends, and not surprisingly, it’s worse when your body mass index is higher. 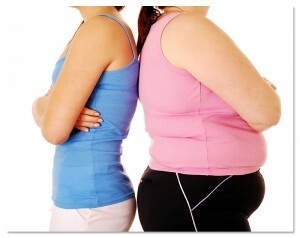 In fact, 98% of women who are overweight complain about their body, compared with 65% of normal weight women. (My reading of that statistic is that both are insanely high, and something must be done!) While the more rigorous scientific studies show that it’s more like half of women are dissatisfied with their body,  the problem continues to haunt women and hold us back from greatness. How can we save the world when we’re obsessed with thigh gap? How can we stop mentally shredding ourselves and our body image? The answer lies in mental retraining. This “I hate” training begins early. Check out these disturbing statistics. In 1975, top models and beauty queens weighed only 8% less than the average woman. Now, they weigh 23% less. One in three normal dieters will become “pathological” about their weight loss. Another one in four will be diagnosed with a partial or complete eating disorder. Traditionally, Black and Asian women have had a more positive body image than Caucasian women. However, this may be changing. Studies in Japan have found that more than 40% of elementary school girls (beginning at age 6) thought they were too fat. How can we stop mentally shredding ourselves and our body image? The answer lies in mental retraining. I’ve written about my own battle with body dissatisfaction and the steps that set me free in my new book, The Hormone Reset Diet. Recently, I spoke with my friend Eileen, a long-time yoga practitioner, about body image issues for women and was fascinated by what she shared. Eileen had that same little voice in her head that we all do. She would look at her naked self in the mirror and hear the same old criticisms about her size and shape. Rarely did she hear a compliment. One day, she began paying much closer attention to her inner critic and how destructive it was to her self-esteem and confidence. That’s when she realized her relationship with this voice in her head had to change. That was ten years ago. Thanks to some hard work on her part, that voice has shifted away from self-loathing to one that is far more supportive of who she is as a woman. How did she do it? For Eileen, the key was self-compassion. She allows herself to experience each moment but doesn’t judge the emotions that come up when she thinks about her body image. She says it was a tall order when she first started out. After all, it is much easier to have compassion for others than for our selves. However, with time and practice, Eileen has found that compassion for herself has been a very effective healer and helped silence her harsh voice of criticism. Acknowledge your efforts and see your contributions – I like to call these your daily wins! 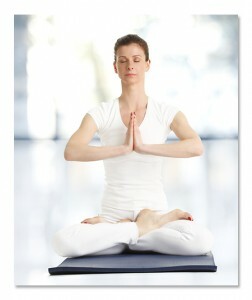 Your body is different every day, which shows up on the yoga mat. The pose you did yesterday might feel impossible today. That’s a metaphor for body image, which is always changing, too. Yoga teaches us to notice these differences, avoid giving them any meaning or judgment, and adjust our selves and our thinking so we can keep moving forward. By applying yoga practice to our mind, we can see the monkey chatter around body image for what it is: a distraction that we can sidestep with a dose of self-compassion and awareness. If that feels like a reach to you, you could choose another option: Be of service. I’m inspired by the Keep It Real campaign – a joint effort between Miss Representation, the SPARK Movement, Love Social, Endangered Bodies, and I Am That Girl. These organizations aim to change perceptions of beauty among media outlets, mothers and fathers, all of us—and to consider on a deeper levels how our words and actions may impact a girl view of her body. Volunteer for one of these organizations. Taking on your greatest challenge, such as your body dissatisfaction, and being of service just might be the path to the greatest meaning and integration in your life.